This exhibition by Daniel Buren (born 1938) and Bettina Pousttchi (born 1971) was initially inspired by the work Conversations in the studio 3. 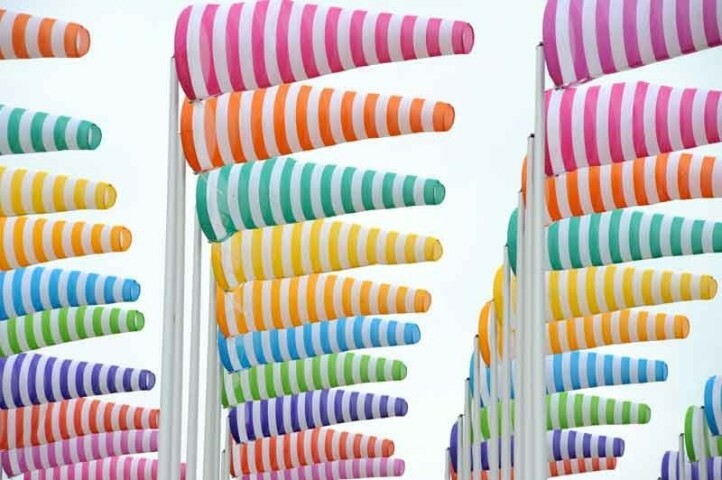 This saw Pousttchi recording her exchange with the French conceptual artist Buren—a conversation between artists from two entirely different generations about public art and its limits, but also about points of view and what the artists have in common. Based on their earlier work, Bettina Pousttchi und Daniel Buren are now not only continuing their cooperation for the exhibition in Kunsthalle Mainz, they’re even ramping it up a notch: by coordinating with each other, two artists who work with space and location are establishing a relationship between new site-specific works and existing works.